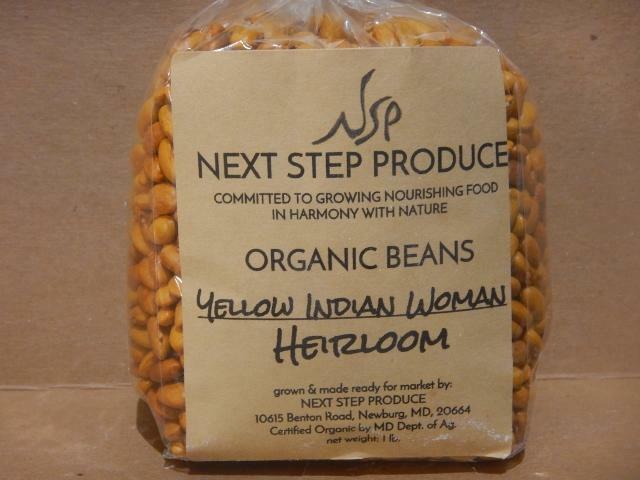 Certified Organic Yellow Heirloom Beans, also known as "Indian Woman." Grown on a grain farm in Southern Maryland. Available in 1 lb bag. At Next Step Produce they believe in growing food in harmony with nature. Heinz, Gabrielle and their three daughters live and work on their certified organic vegetable and grain farm in Southern Maryland. Flours are freshly milled on site in small batches per order.